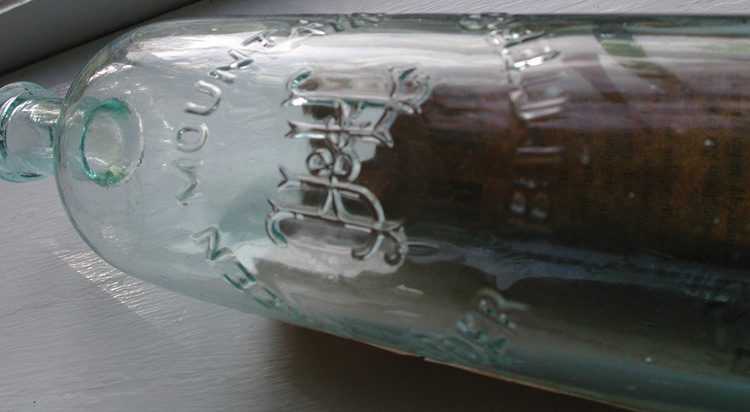 Description: Henry, Johnson & Lord of Burlington, VT were the proprietors of this rare Vermont bitters. This attractive cylinder is among Vermont’s “best” bitters. Aquamarine, cylindrical, smooth base, 10 1/2"H x 3"D, applied double collar, mint. American, C. 1875, very rare (even rarer with label). Carolyn Ring lists the "Green Mountain Cider Bitters" as exceptional. Condition: Excellent, label is about 95% intact.